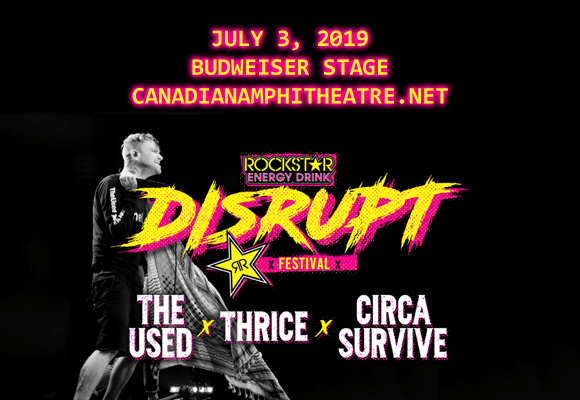 Get ready for the rock roadshow of the year as the inaugural Disrupt Festival comes to Budweiser Stage on Wednesday 3rd July 2019!!! This hot new festival picks up where the Warped Tour (RIP) left off, bringing fans an insane line-up and serious punk rock vibes, looking to be the sickest show of the summer! There'll be music from The Used, Thrice, Circa Survive, The Story So Far, Atreyu and many more – don't miss this madcap moshfest!